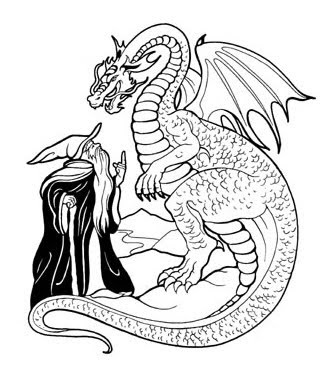 Thom — there were several dragons in Tolkein’s books. The most famous one was Smaug. Sometimes casting just can’t get it right, can they? Tony — well, they certainly shouldn’t have cast a hungry dragon! John — is there a typo here? I couldn’t find it. And I never watch friends so I would have never known the difference. I wouldn’t have thought of that angle. Very nice! Barbara — thanks, I wouldn’t have either, but Amoeba popped it right out! Rosidah — Aragorn was rather vital to the success of the mission, wasn’t he? Kelley – -oh dear. You, too? An orc is a gruesome creature created by evil to destroy man. The dragon isn’t named orcs, he is supposed to be eating them! where is georgianne walken when you need her? Tilden — looking for gangsters? I had to click the link as well, before I got it. Yes casting is what makes a good movie better. Bill — I didn’t think there was anyone in the world who didn’t know Tolkein’s work. I love love Aragon. Good idea to tie this picture to Tolkein. Casting can make or brake any adventure. Have a nice rest of your Holdiay weekend. Peggy — yes, and eating costars can cause some problems. too. Susan – -what?! No beds? How/where are you all sleeping? Love Aragon! What a great take of the pic of the day! Casting is everything!! What a hoot! Enjoy the rest of your holiday weekend, Quilly! Sylvia — the dragon loved Aragorn, too. Said he was quite tasty, even. Jingle — you didn’t get it either, huh? Those darn dragons are so uncooperative. Logo — are you thinking of asking the dragon to light a fire under your boys? LOL! ouch! perhaps they should have fed the dragon first.